Former cabinet minister George Abbott says BC is unprepared and under-resourced for future wildfire threats and he recommends more prescribed burns. Forest Minister Donaldson says 19 of Abbott’s 108 recommendations are already being implemented. In related news: Governor Brown signs an order to reduce wildfire danger in California. In Forestry news: Fort St. John’s AAC is affirmed; a hard limit on cedar logging is coming to Haida Gwaii; the oil sands development is having a profound impact on Alberta’s forest fauna; and using fibre for electricity in Europe is harming forests in the US South. In other news: the US homebuilders association seeks to reverse softwood tariffs; a broker says the lumber market has “all the hallmarks of an unsustainable bubble“; and the Concrete Association is “flaming the fires” on wood construction in Denver. Finally, BC protestors fail to convince a judge that civil disobedience is a necessity; while a new documentary blames Greenpeace for the Inuit’s high suicide rate. VANCOUVER — A pipeline protester’s argument that an act of civil disobedience he committed was necessary to prevent a greater evil has “no air of reality,” a B.C. judge ruled Thursday. The novel “defence of necessity” had previously been tried by anti-abortion and anti-logging protesters, typically without success. …Affleck said Thursday the “excuse of necessity has no air of reality in these proceedings” and reminded Sandborn that court orders are a foundation of the rule of law, “without which we could not enjoy our robust democracy.” …Some anti-logging protesters who took part in blockades and occupied platforms high up in trees in B.C.’s Elaho Valley, northeast of Squamish, in 1999 similarly tried but failed to use the necessity defence. Before British Columbia’s natives ally themselves too closely with the eco-warriors of Greenpeace in the ongoing struggle opposing the Trans Mountain pipeline, they’d be well served talking to their Indigenous friends in the Arctic. Yes, that would be the Inuit whose youngsters now commit suicide at a rate near the highest on the planet. …Or, instead, simply watch Alethea Arnaquq-Baril’s 2016 documentary Angry Inuk about the Inuit seal hunt and the decades-old conflict with southern animal rights and environmental groups. …JP Gladu, the council’s head honcho, understands Indigenous people take seriously their role as keepers of the land. But he also knows many natives work in the energy, forestry and mining businesses. And he remembers what happened to the Inuit. It was a big night for business in Timmins. More than 700 people were at the McIntyre Arena to celebrate the Timmins Chamber of Commerce’s 2018 Nova Business Awards. This year’s theme was Business Takes the Stage. The 16 winners were chosen from a record-breaking 160 nominations submitted this year. 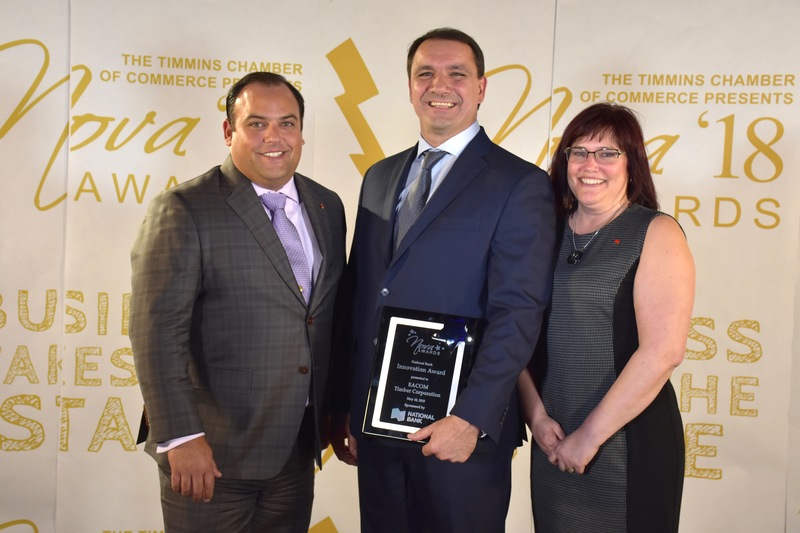 “The Nova Awards are an important reminder of the many ways that our businesses work in harmony to make Timmins truly great,” said chamber president Jamie Clarke. …National Bank Innovation Award — EACOM Timber Corporation. Montreal – EACOM Promotes Jobs and Sustainable Development during the 2018 Election. 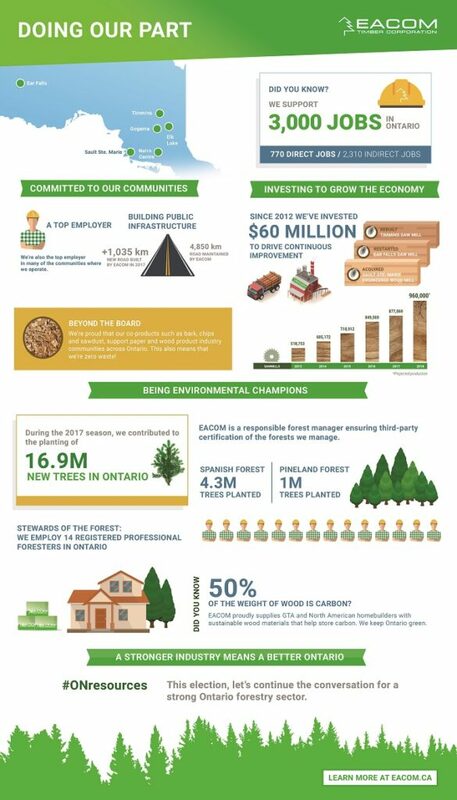 With the provincial election underway, EACOM Timber Corporation is engaging in the conversation about Ontario’s future and bringing attention to opportunities for growth in the forest products sector and its communities. EACOM is eager to work with the Ontario Government to ensure a prosperous and sustainable future. Doing so requires a dialogue with those seeking election about the role government can play in supporting this sustainable economic growth. “A working forest can deliver results on government priorities, including providing quality employment opportunities, thriving communities and the transition to a low-carbon society. We are making investments for the long-term” said Kevin Edgson, EACOM President and CEO. Lumber prices have rallied more than 30% this year to reach theirhighest level on record, as U.S. duties on imports of the commodity from Canada have contributed to tighter supplies and soaring home-construction costs. But analysts are growing wary of tall timber prices. …“The Canadian situation is clearly a factor here,” says Walter Zimmermann, chief technical analyst at ICAP, the world’s largest interdealer broker. He recalls that in 1996, the Softwood Lumber Agreement between the U.S. and Canada created a comparable spike in prices, to $488 per 1,000 board feet from $346, a roughly 41% gain. The higher price was “sufficient to fully discount that factor.” …The WTO has given no indication of when it might rule on the U.S. duties, he says, and lumber prices have already rallied 34.5% from their January lows. … The lumber market has “all the hallmarks of an unsustainable bubble,” says Zimmermann. LAPLACE, LA –Midway through his term as president of the National Association of Homebuilders, a local man finds himself in the middle of a controversy that’s affecting home ownership. 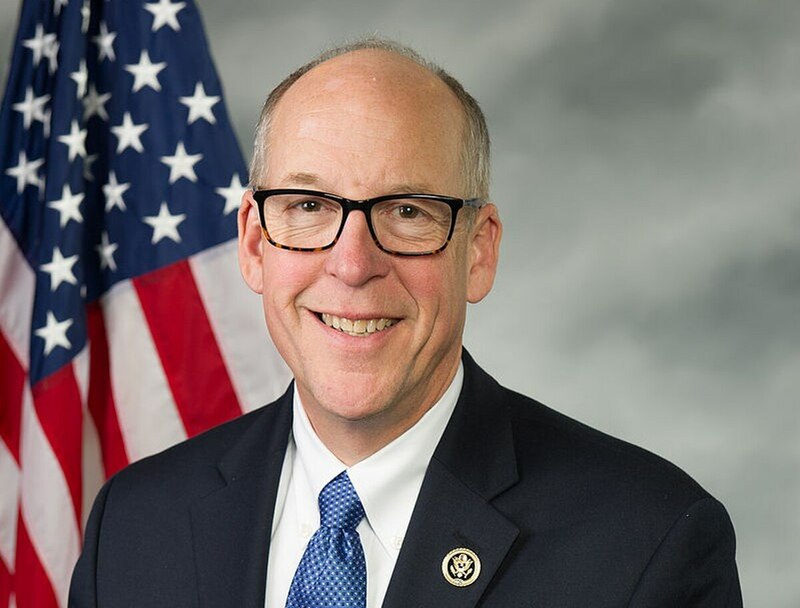 Randy Noel of Laplace has been meeting with some of the highest ranking members of Congress and the Trump administration to try and get a break on new tariffs, which are driving up the price of homes. For three decades, he’s been one of the region’s busiest homebuilders. But now Noel wears two hats as head of one of the largest associations in the U.S. … One of his big tasks is keeping homes affordable, and home prices are on the rise largely because of new tariffs. The 20 percent tariff on Canadian lumber is hitting home-buyers hard. …Noel and the National Homebuilders are now lobbying the Trump administration to lift the tariffs and make homes more affordable. The Chicago Mercantile Exchange futures contract for the softwood two-by-fours used in framing houses closed at its highest price ever on Tuesday. …It appears that every time the U.S. picks a fight with Canada over its alleged subsidies of softwood lumber — which comes from coniferous trees such as pines, firs and cedars — U.S. lumber prices go up. The match is likely even closer than the chart above indicates, given that threats of tariffs … and follow-up tariff increases also affected prices. …The main beneficiaries of these softwood lumber trade spats appear to be owners of the land on which softwood-lumber-producing trees are grown. Most timberland in the U.S. is in private hands, and the biggest owner by far… is Weyerhaeuser Co., a publicly traded real estate investment trust that has seen its stock price rise about 20 percent since the beginning of 2017. RENO, Nev. — Tariffs enacted on softwood lumber imported from Canada are helping create a “perfect storm” of escalating construction costs in Northern Nevada. …Don Tatro, executive director of the Builders Association of Northern Nevada, says the tariffs amount to additional materials costs of nearly $6,400 per single-family home and $2,400 per multi-family unit. Coupled with white-hot demand for new housing and rising prices for fuel, land and labor, and it’s no wonder why housing and apartment prices across Northern Nevada have gone haywire. …Lumber is just one aspect of rising construction costs. Perhaps more concerning to regional tradesman and advocacy groups such as BANN is the continued shortage of qualified labor. …Increasing regulatory costs and delays are the final piece of the puzzle that are pushing up construction costs. Sixty-three trees, 67 cross-laminated timber (CLT) panels, and 12 days—that’s what it took for Seattle-based atelierjones to erect the firm’s 2,500-square-foot CLTHouse, one of the first all-CLT residences constructed in the United States. …The house’s blackened, shou-sugi-ban treated exterior panels contrast with the blonde, white-washed, and daylit-spaces within the home… The rustic home is inspired by the Northwest’s ubiquitous log cabins and features exposed wood paneling inside and out in homage to this building type. The approach, according to Jones, seeks to project a sense of “living with nature in the city” and provides a productive example of the smaller-scale capabilities of emerging CLT technologies. …Constructed using CNC-milled, rapidly renewable, and sustainably harvested CSFI-certified spruce, pine, and fir panels made by Structurlam, the building is crafted to inspire a sense of naturalistic escape and relaxation. The California Energy Commission has just changed the building standards to require solar photovoltaic systems on all houses built after January 1, 2020. Here I would cue up my usual response and say “reducing demand is more important than increasing supply” but they do that too; Insulation in walls and attics is increased, window performance is improved, LED lighting is mandated and ventilation is improved. …There are the usual objections that it will increase the cost of housing (estimated to be $9500 per house) but California houses go up by that much every month due to land prices, President Trump’s tariff on Canadian lumber caused a 7 percent increase, and you probably heard the same thing when indoor plumbing became mandatory. At least energy savings from building efficiency and solar panels pay for themselves eventually. A Nelson-based company that helps make prefabricated buildings has invested $35 million in the business, as it anticipates a boom in the market for prefab homes. XLam is New Zealand’s only manufacturer of cross laminated timber (CLT); panels of layered timber boards used to make certain prefab buildings, which are buildings that can be largely constructed off-site. 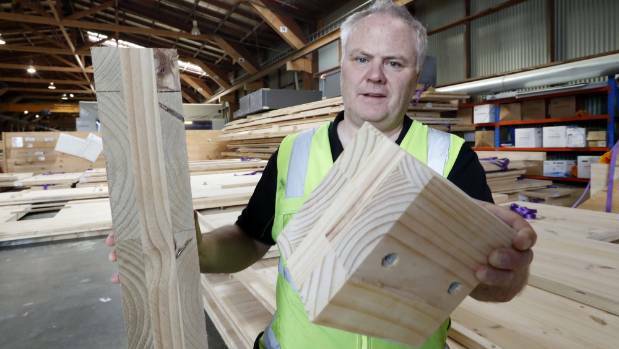 The company expects a more than 30 per cent increase in domestic capacity as a result of a $5m upgrade at the Tahunanui plant, which is currently capable of producing enough CLT to build more than eight houses a week. A $30m XLam factory opened in Australia in March, would also be able to supply timber for the New Zealand market, chief executive Gary Caulfield said. New Zealand’s very own superannuation fund is keen to progress light rail transit in Auckland. This move is certain to trigger an apartment-housing boost along the routes. Using new cross-laminated timber building systems now available, developers will soon be competing for apartment project sites. Tall timber apartment buildings are light. They can quickly be erected over existing buildings. …The old adage ’build it and they will come’ will happen as light rail transit routes go from planning to implementation phase,” says mass timber building specialist John Stulen. “A bonus for these new apartment living developments is that engineered wood products are increasingly the product of choice,” he says. EDMONTON — Research suggests even underground oilsands mines have profound effects on the forest community that vary from animal to animal. “What you’re seeing in the oilsands is a change in how that landscape works,” said University of Victoria ecologist Jason Fisher, who works for the Alberta government agency Innotech. Fisher’s paper, published in the journal Frontiers In Ecology, looked at the effects of forestry and in-situ oilsands mines on 10 mammals from moose to wolves to squirrels. It found some species were winners and some were losers, but all were affected. …Fisher’s paper looked at 3,000 square kilometres of forest north of Cold Lake, Alta., that was heavily logged and criss-crossed by roads, seismic lines, well pads and other energy industry features. Two Tsilhqot’in First Nation communities are working together to rehabilitate forests and protect themselves from future wildfires. “We want to manage the fuels, harvest what we can, but we also want to get the forest back up and growing,” said Percy Guichon, former Chief of Tsi Del Del (Alexis Creek). “We are going into those areas where there are low volume stands and dead trees.” …Tl’etinqox agreed and together they formed Cariboo Chilcotin Rehabilitation (CCR) and applied for funding from Forest Enhancement Society of B.C. (FESBC). …A former forester with West Fraser, Wayne Clogg is the chair of FESBC. B.C.’s forests minister says a hard limit on Haida Gwaii cedar harvesting is on its way. 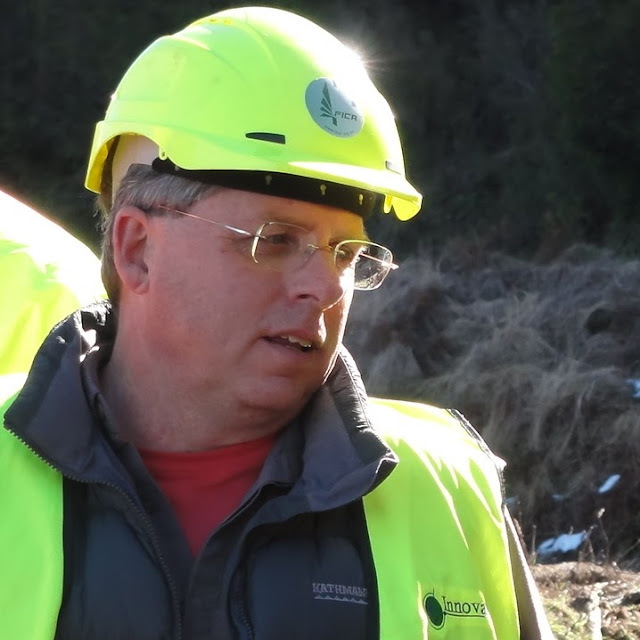 At a press conference for the Future of Forestry Think Tank held in Quesnel on May 3, Minister Doug Donaldson was asked why six months after B.C.’s Chief Forester recommended it, there is still no legally-binding limit. Donaldson said it is being put in place. Called a cedar “partition,” the limit would prevent any logging company on Haida Gwaii from harvesting more than 38 per cent cedar. The Council of the Haida Nation has been calling for a binding limit following the 2012 finding by the Haida Gwaii Management Council that cedar was still being over-harvested on the islands. FORT ST. JOHN, B.C. — B.C.’s chief forester Diane Nicholls announced that the allowable annual cut (AAC) for the Fort St. John Timber Supply Area will remain at 2,115,000 cubic metres. …the new AAC level will be partitioned into two allowable levels for deciduous and coniferous trees. The cut level for conifers is 1.2 million cubic metres per year, with a maximum of 672,000 cubic metres from the core area… Within the core area, spruce should comprise no more than 50 percent of the conifer volume. A total of 915,000 cubic metres of deciduous species trees will be allowed to be harvested, with a maximum of 512,000 cubic metres annually coming from the central and southern core area. “By maintaining the Fort St. John AAC, while limiting the amount and species of timber harvested from the southern and central portion of the TSA, I’m confident my decision supports the sustainability of the timber supply,” said Nicholls. 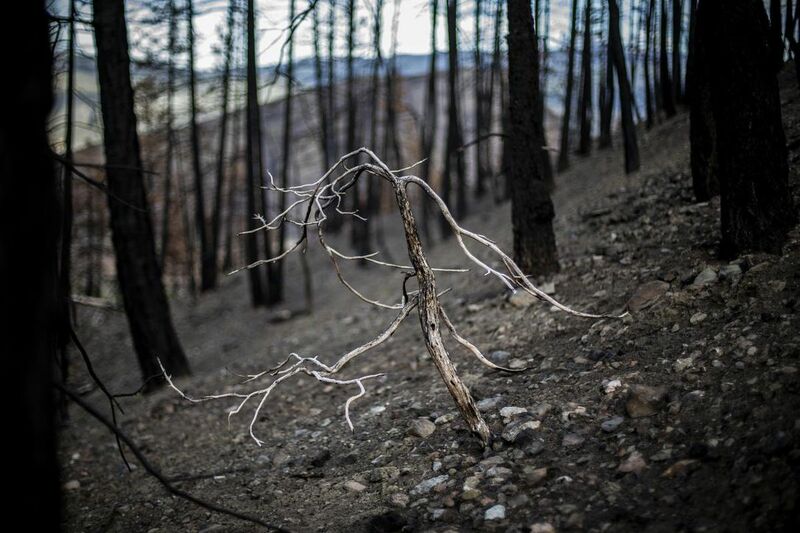 VICTORIA — An independent review of British Columbia’s response to last year’s wildfires and flooding recommends fighting fire with fire to protect communities and future forests. The report, “Addressing the New Normal: 21st Century Disaster Management in B.C.,” makes 108 recommendations and calls for an overhaul of disaster response practices. …Abbott said after releasing the report Thursday that he came to endorse the practice of prescribed burns as a fire prevention tool after meeting with local residents, Indigenous leaders, academics and government experts during public and private meetings for the review. He said when he was B.C.’s health minister eight years ago, he would have rejected prescribed burns of forest lands because of the health hazard caused by the smoke. VANCOUVER—Disasters such as last summer’s wildfires, floods, lightning storms and landslides are “the new normal” consequences of climate change and British Columbia is ill-equipped to protect the public, according to an external review in response to last year’s floods and the wildfires that tore through the the province. …Former cabinet minister George Abbott, who co-authored the report containing 108 recommendations on how to prepare for future devastation, said the province would need to allow the public to join the fight in future disasters. …“The resources of BC Wildfire Service were stretched well, well beyond their limits … having trained and equipped allies on the land base can only be helpful.” …“2017 was by no means an anomaly or a one-off,” Abbott said. …[Minister] Doug Donaldson told reporters his government has “already started preparations for 2018” flood and fire season. As the Province responds to ongoing flooding, and in advance of the 2018 wildfire season, government is acting on some of the recommendations in the report, Addressing the New Normal: 21st Century Disaster Management in British Columbia, announced Doug Donaldson, Minister of Forests, Lands, Natural Resource Operations and Rural Development. “I want to thank George Abbott and Maureen Chapman for their comprehensive report on the 2017 floods and wildfires,” said Donaldson. “Their 108 recommendations will take some time to fully consider. There are some recommendations that are being acted on already. 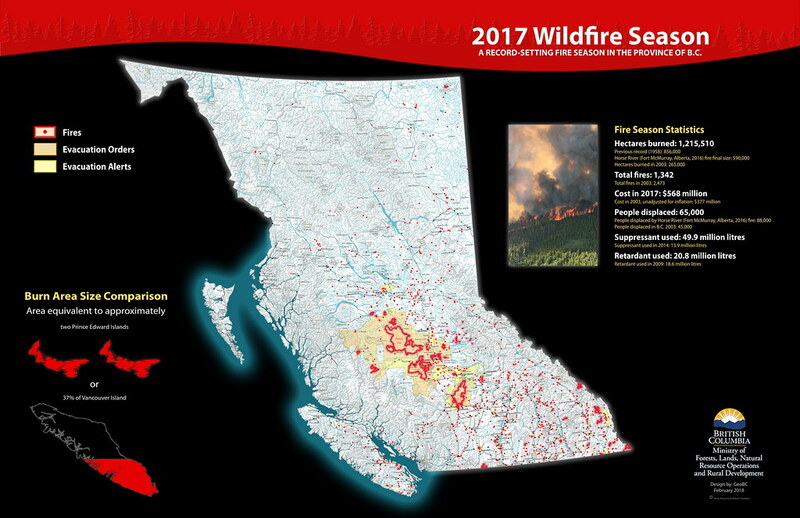 For example, as part of Budget 2018, we’re committing $50 million over three years to wildfire prevention and wildfire risk reduction around communities.”&nbsp;As a result of internal reviews undertaken by both the BC Wildfire Service and Emergency Management BC, 19 of the 108 recommendations in the report are being implemented. SACRAMENTO — Gov. Jerry Brown signed an executive order on Thursday that aims to reduce the dangers of wildfires following some of the deadliest and most destructive blazes in state history. The order calls for accelerating forest management procedures such as cutting back dense stands of trees and setting controlled fires to burn out thick brush. Brown wants to double the forest area managed by such practices to 500,000 acres (781 square miles) within five years. Brown’s order also calls for streamlining the process of allowing private landowners to thin trees and encouraging the building industry to use more innovative wood products. The governor’s order aims to implement the California Forest Carbon Plan…. 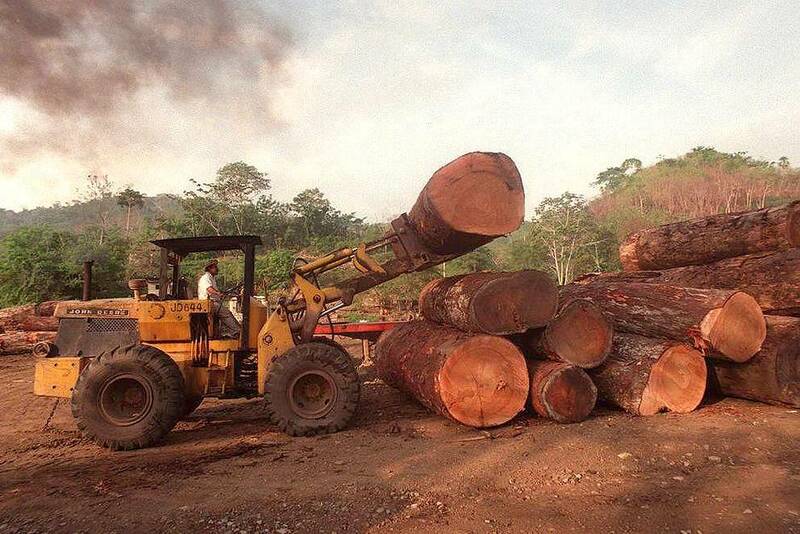 The 186-page report, …proposes a number of measures for restoring and keeping forests healthy. They include encouraging use of wood for biomass — that is, burning it to create electricity. Our Southern forests are some of the most biodiverse in the world. They provide aesthetics, tourism, recreation, water filtration, waste treatment, regional climate regulation, and protection from extreme events. Yet we are rapidly degrading and losing our national Southern forests, putting untold species and benefits at risk. How did we get here? …The forest product industry and our government would have you believe that forests are flourishing. They frequently mislead the public with graphs that do not show the loss of natural forest, the loss of old growth forest, or the loss of carbon resulting from industrial logging. Nor do they show the conversion of natural forest to pine plantations. If we continue to excessively log our forests, we will lose out on a vast array of ecosystem services that forests provide. Mahatma Gandhi said, “What we are doing to the forests of the world is but a mirror reflection of what we are doing to ourselves and to one another.” …In no place do these statements resonate more than in one of the world’s largest wood-producing regions, the Southern U.S. — where in recent years forest cover loss from large-scale industrial logging has been four times that of South American rainforests. …Yet in the southern U.S., forests are being threatened today as never before, thanks to misdirected efforts by European nations that are importing our forests to burn for electricity on a growing scale. This is harming not only the health of the forests, but the well-being of the people who live in the communities around them. The Government has launched its new forestry service, but it’s yet to decide on its exact function, size and governance structure. Te Uru Rākau will be in charge of delivering the Government’s One Billion Trees programme. Forestry Minister Shane Jones made the announcement in Rotorua this morning. “Te Uru Rākau will build a strong and dedicated forestry presence in Rotorua, recognising that Rotorua is at the heart of the forestry sector in New Zealand. Forestry is our third largest export earner – with an annual gross income of about $5 billion – and has the potential to grow,” the Minister said. …New Zealand First is claiming it as a win, with Fletcher Tabuteau saying re-establishing New Zealand’s forestry service is a key aspect of the coalition. New guidelines designed to give poor and isolated communities more of a say in how tropical forests are used and preserved around the world were published on Thursday, by the Food and Agriculture Organization (FAO). The FAO is the lead United Nations agency on the sustainable use of forests, and the voluntary guidelines refer to so-called forest concessions; laws and policies that allow local communities and private individuals or businesses to use forested land in return for payment or services. The aim is to make these concessions “more transparent, accountable and beneficial to some of the poorest communities in the world”, said the agency. It is hoped that by adopting the guidelines, countries in tropical regions will be able to curb abuse of forest land due to poor management; corruption and bribery; tenure disputes, and the harassment of local communities. 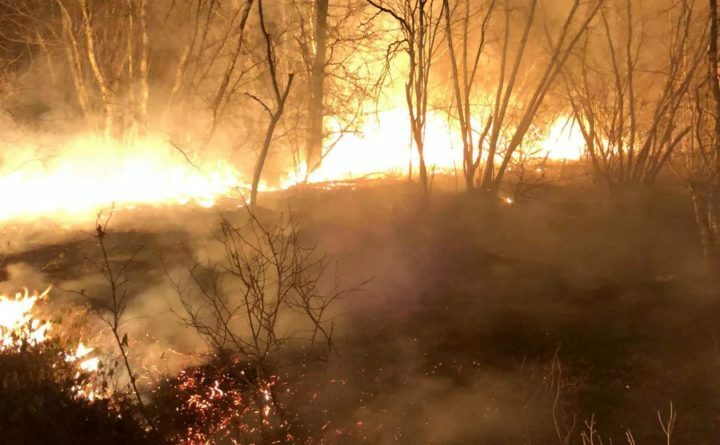 A Kennebunk man failed to properly douse a backyard fire that set a massive wildfire last week that burned more than 300 acres in York County, authorities said. Michiel Brown, 69, was issued a summons for failing to extinguish the May 2 fire that grew into a blaze that burned for nearly 24 hours, scorching 314 remote acres across Kennebunk, Sanford and Wells, said George Harris, district ranger for the Maine Forest Service in Gray. …If convicted, Brown faces up to a $500 fine and could owe up to $25,000 in restitution, Harris said. Canada’s heavy industries are notorious for being the biggest emitters of carbon in Canada. With a price of carbon being tagged onto emissions, these heavy industries are finding ways to reduce emissions. Despite the government narrative about fossil fuel use reduction, there is no perfect substitute to fossil fuel for heavy industries like steel, cement, mining and insulation manufacturing. …So, what are the major challenges of these alternatives to fossil fuels? 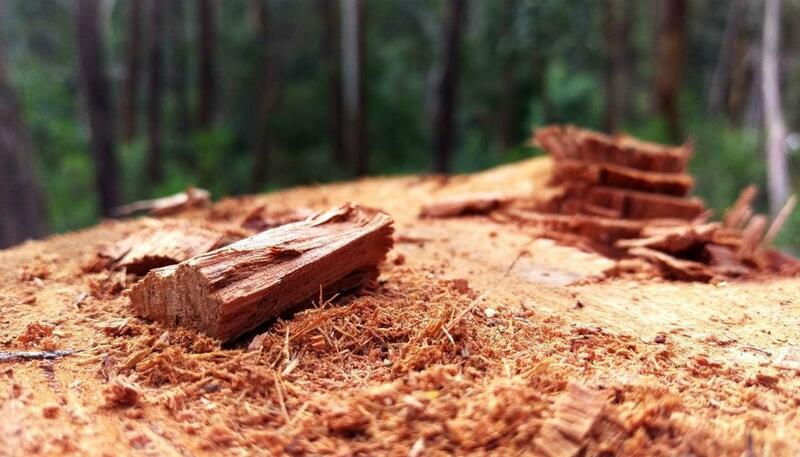 Wood waste has the most mature and established supply chain to serve the market. …Waste rail ties show a lot of promise. They have very high energy content. …Torrefied wood, also known as bio-coal, is a perfect coal replacement.